Don’t wait for competition day to run through your routine on the competition floor for the first time! You can rent practice space at our gym throughout the year. 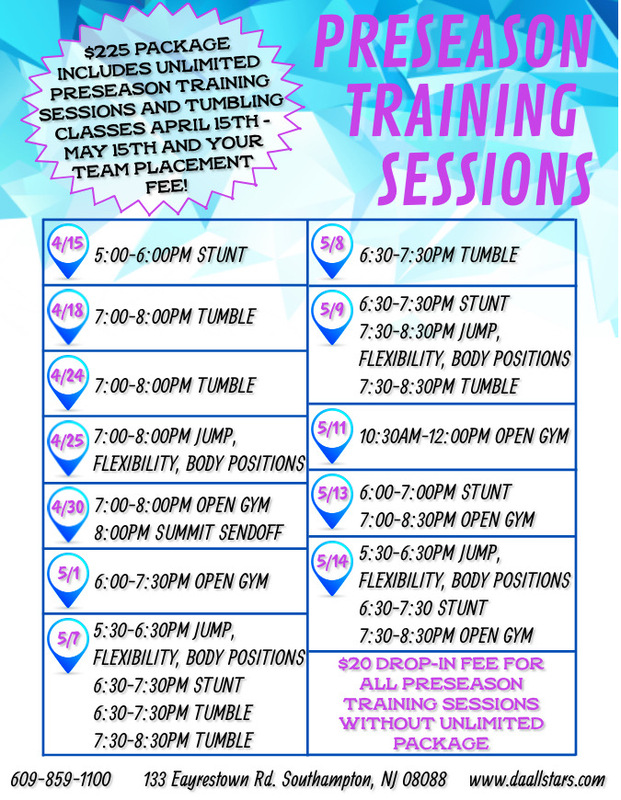 Whether you’re in need of a safe, cheerleading environment for your regular practices, or need to come in once in a while to work on spacing, formations, tumbling, etc., we have the facility for you! Our gym is equipped with two spring floors; 42’x54′ and a 42’x42’ spring floor.